A lot of things have happened since the show debuted way back in 2014, chronicling the youth of Bruce Wayne as he starts his long path to becoming the caped crusader himself. Liberties have been taken and then some and for a comic book character that has just turned eighty years old, the show didn’t half mess with the characters. Poison Ivy for example was a twelve year old girl who was evolved into a fully grown adult almost over night due to shinanagins. We have seen the introduction of The Riddler, The Penguin, Doctor Freeze and many more characters from the comics rich history. The one character though among all this who was missing has been Batmans arch nemesis, the Clown Prince of Crime, The Joker! Many thought that when he was first introduced Cameron Monaghan was everyone’s first choice for the character and was even set up to be so, but the show runners decided that this wasn’t going to be happening and killed the character of Jerome Valeska off before he could evolve as the Joker! But comic books being what they are, dead characters don’t stay dead forever and the character was brought back from the dead, and we found out he had an identical twin brother Jeremiah. 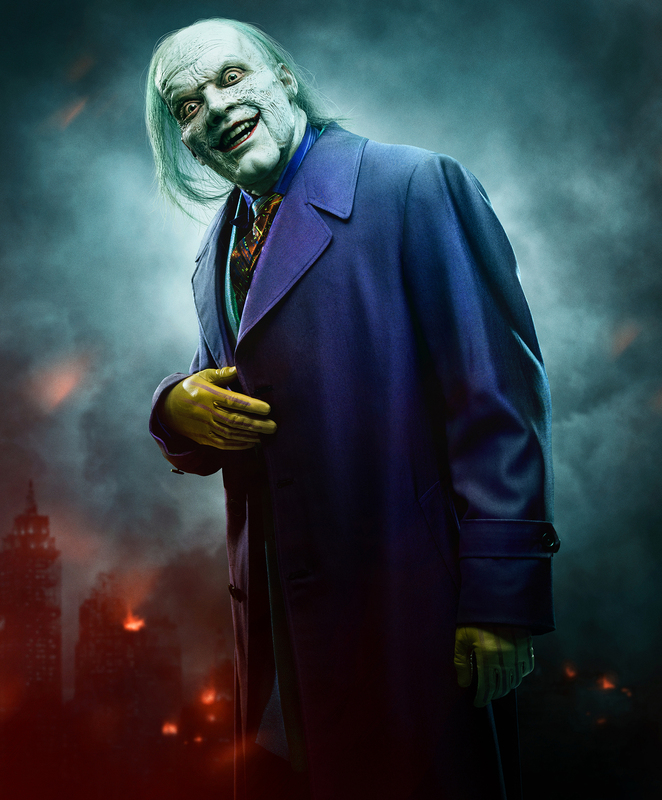 Now as the show is about to end, the first real image of the Joker has been revealed, as the character of Jeremiah Valeska (again played by an over the top Cameron Monaghan) as The Joker! This is by far the darkest version of the character we have seen in a long time and he will square up.against Batman in the two part show finale on April 18th and 25th.